Each nugget is similar in look and size as in pictures. 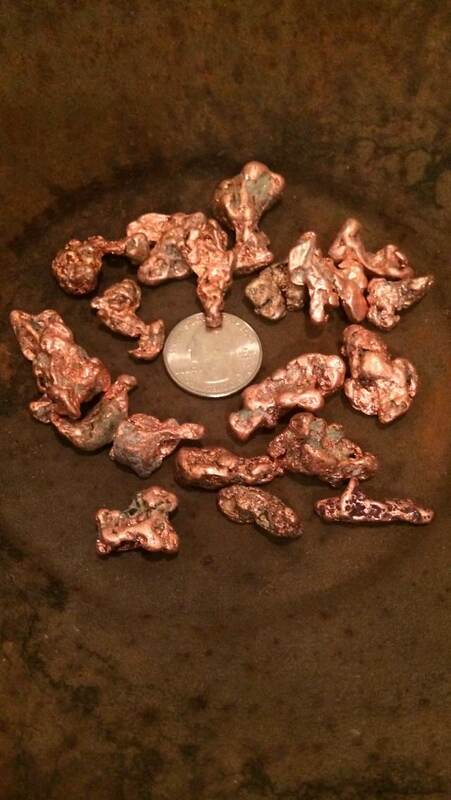 Each copper nugget will weigh a minimum of 7 grams with the possibility of getting one up to 12 grams. 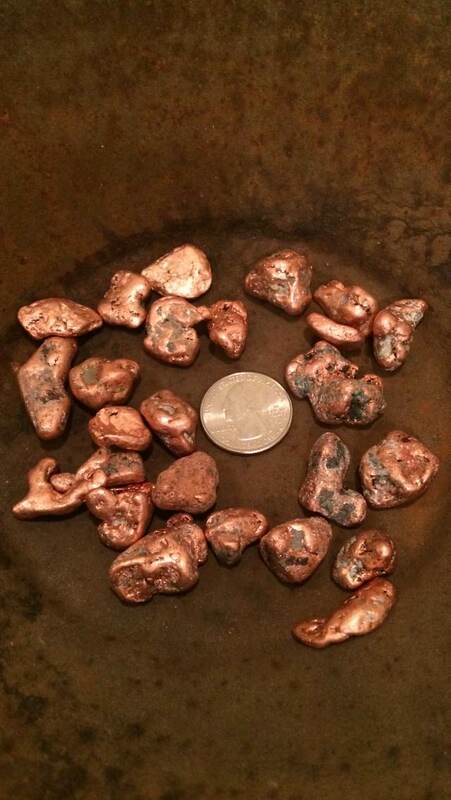 Thousands of years ago these Copper nuggets were carried by glaciers and melt water rivers to the resting spot we mine for them today. Float is a geological term used in reference for any material that has been carried by erosion from the spot of it’s original origin. Shipping is included in the pricing below to lower 48. All other areas of shipping, please contact us for pricing. I love these specimens as well as the great prices.